Industrial ovens are designed to withstand high temperatures and continuous working. 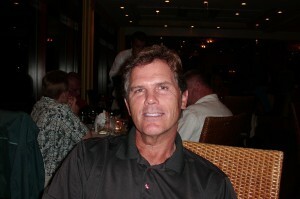 However, there are times, when they may not work as expected, thereby leading to a costly breakdown. How to avoid it? Regular preventive maintenance is the only way to avoid these situations. This helps in maximizing the service life of the oven, reduce the frequency of shutdowns, as well as maintain the quality of the thermal components. How to do it? Well, the preventive maintenance schedule will entirely depend on the model of the oven. 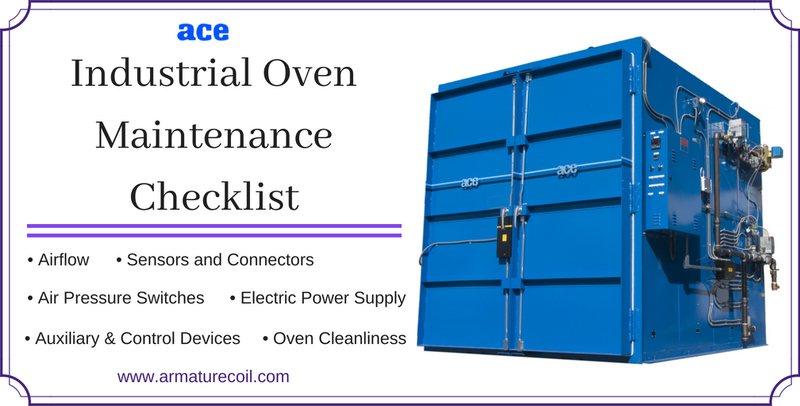 Most manufacturers will provide you oven maintenance checklists along with the product. These checklists are often divided into time frames, such as a weekly checklist, a monthly checklist, a shift checklist, etc. Although there are huge differences in industrial oven models and their maintenance schedules, still there are several areas, which are common to all. This post discusses a few common aspects of preventive maintenance of industrial ovens. • Airflow: Restricting the airflow of the oven can have catastrophic consequences. It will definitely change the temperature profile of the oven. In extreme cases, it can lead to failure of several components due to overheating. Hence, extra care should be taken to ensure that elements like ventilation, oven chamber, and duct work are working properly. • Sensors and Connectors: If a sensor fails to respond, there are all chances that the products, which are being processed inside the oven will be damaged. Hence, it is important to establish a regular replacement program for thermocouples and sensors. The life of thermocouples will depend on the temperature and the operating environment. So these factors should be considered while organizing a replacement schedule. • Air Pressure Switches: These are one of the important components of industrial ovens. Also, they contribute to the efficiency of the oven. This means, you cannot afford to miss them. These switches must be checked weekly for adjusting the pressure settings. The switches must be replaced periodically or as per the manufacturer’s instructions. • Auxiliary and Control Devices: Periodical checking and replacement of auxiliary and control devices will help you ensure their proper working for a long time. Sometimes arcing causes pitting, which results in the contact welding, and leads to an uncontrolled power supply to the oven. • Electric Power Supply: Overall performance of the oven depends on the electric power supply. This supply needs to be maintained in reasonable limits, if you wish to avoid overloading of transformers and control devices. Sometimes under voltage current will result in operational failure of several components. • Oven Cleanliness: With a rigorous heating procedure to undergo, it is quite obvious that powder coating systems in the oven will be covered in dust. This will severely affect the performance of the oven. Hence, monthly cleaning should be conducted to ensure the excellent performance of the ovens. You can use reliable cleaning agents to remove contaminants on the surface of the oven. In addition to the above, it is important that you leave specific maintenance tasks to certified professionals. Armature Coil Equipment is an experienced industrial oven manufacturer and has certified technicians, who can handle any complex maintenance challenge.